HomeArticleWhat exactly is a money bill? The Supreme Court will begin hearing inal arguments next month on a writ petition challenging the validity of the Aadhaar (Targeted Delivery of Financial & Other Subsidies, Beneits & Services) Act, 2016 — or the Aadhaar Act. The proceeding, initiated by Jairam Ramesh, a Member of Parliament in the Rajya Sabha, primarily questions the legality behind the Union government’s move in introducing the Aadhaar Act as a money bill. Through this categorisation, the government had the law enacted by securing a simple majority in the Lok Sabha while rendering redundant any opposition to the legislation in the Upper House of Parliament. Originally, Aadhaar was conceived as a scheme to provide to every Indian a unique identity number, with a purported view to enabling a fair and equitable distribution of beneits and subsidies. There is little doubt that the scheme’s introduction, with no prior legislative backing, was a lagrant wrong, and was completely unjustiiable as a measure of democratic governance. For this Mr. Ramesh’s party, the Congress, must take full responsibility. But, when a draft of a statute was eventually introduced in the Rajya Sabha, in December 2010, it was done so as an ordinary bill. This meant that both Houses of Parliament had to provide their imprimatur to the bill for it to become law. Nonetheless this draft legislation contained serious misgivings, so much so that a parliamentary standing committee released a detailed report difering with the government of the time over critical aspects of the bill, particularly its treatment of concerns over privacy and protection of data security. In the meantime, given that the Aadhaar project was being implemented even without statutory support, public interest petitions were iled in the Supreme Court challenging the project’s legitimacy. In these cases, the court issued a series of interim orders prohibiting the state from making Aadhaar mandatory, while permitting its use only for a set of limited governmental schemes. A money bill is deined by Article 110 of the Constitution, as a draft law that contains only provisions that deal with all or any of the matters listed therein. These comprise a set of seven features, broadly including items such as the imposition or regulation of a tax; the regulation of the borrowing of money by the Government of India; the withdrawal of money from the Consolidated Fund of India; and so forth. In the event a proposed legislation contains other features, ones that are not merely incidental to the items speciically outlined, such a draft law cannot be classiied as a money bill. Article 110 further clariies that in cases where a dispute arises over whether a bill is a money bill or not, the Lok Sabha Speaker’s decision on the issue shall be considered inal. The government’s response to Mr. Ramesh’s claim is predicated on two prongs: that the Speaker’s decision to classify a draft legislation as a money bill is immune from judicial review, and that, in any event, the Aadhaar Bill fulilled all the constitutional requirements of a money bill. A careful examination of these arguments will, however, show us that the government is wrong on both counts. To be fair, the assertion that the Speaker’s decision is beyond judicial review inds support in the Supreme Court’s judgment in Mohd. Saeed Siddiqui v. State of UP (2014). Here, a three-judge bench had ruled, in the context of State legislatures, that a Speaker’s decision to classify a draft statute as a money bill, was not judicially reviewable, even if the classiication was incorrect. This is because the error in question, the court ruled, constituted nothing more than a mere procedural irregularity. But there are signiicant problems with this view. Chief among them is the wording of Article 110, which vests no unbridled discretion in the Speaker. The provision requires that a bill conform to the criteria prescribed in it for it to be classiied as a money bill. Where a bill intends to legislate on matters beyond the features delineated in Article 110, it must be treated as an ordinary draft statute. Any violation of this mandate has to be seen, therefore, as a substantive constitutional error, something which Siddiqui fails to do. There are other laws too in the judgment. Most notably, it brushes aside the verdict of a Constitution Bench in Raja Ram Pal v. Hon’ble Speaker, Lok Sabha (2007), where the court had ruled that clauses that attach inality to a determination of an issue do not altogether oust the court’s jurisdiction. That is, the bench held, there are numerous circumstances where the court can review parliamentary pronouncements. These would include instances where a Speaker’s choice is grossly illegal, or disregards basic constitutional mandates, or, worse still, where the Speaker’s decision is riddled with perversities, or is arrived at through dishonest intentions. A simple reading of the Aadhaar Act would show us that its contents go far beyond the features enumerated in Article 110. If anything, it is the provisions in the legislation that pertain to the Consolidated Fund and its use that are incidental to the Act’s core purpose — which, quite evidently, is to ensure, among other things, the creation of a framework for maintaining a central database of biometric information collected from citizens. Ordinarily, a draft legislation is classiied as a money bill when it provides for funds to be made available to the executive to carry out speciic tasks. In the case of the Aadhaar Act, such provisions are manifestly absent. The Speaker’s decision to conirm the government’s classiication is, therefore, an error that is not merely procedural in nature but one that constitutes, in substance, an unmitigated louting of Article 110. In many ways, Aadhaar has brought out to plain sight the worryingly totalitarian impulses of our state. The government has argued, with some force, that Indian citizens possess no fundamental right to privacy. This argument, however, is predicated on judgments of the Supreme Court that have little contemporary relevance, and that have, in any event, been overlooked in several subsequent cases where the court has clariied the extent of the liberties that the Constitution guarantees. Privacy is important not merely because it advances the cause of equality and freedom but also because it is, in and of itself, a treasurable value. A failure to protect privacy adequately can have disastrous consequences that affect our abilities to determine for ourselves how we want to live our lives. And the Aadhaar Act hits at the core of this value. 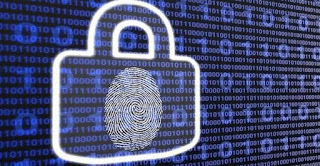 It permits the creation of a database of not only biometric information but also various other private data, without so much as bothering about safeguards that need to be installed to ensure their security. We scarcely need to stretch our imaginations to wonder what the government — and other agencies to which this information can be shared without any regulatory checks — can do with all this material. That a statute so pernicious in its breadth can be enacted after being introduced as a money bill only makes matters worse. It has the effect of negating altogether the Rajya Sabha’s legislative role, making, in the process, a mockery of our democracy. It is imperative, therefore, that the court refers the present controversy to a larger bench, with a view to overruling Siddiqui.